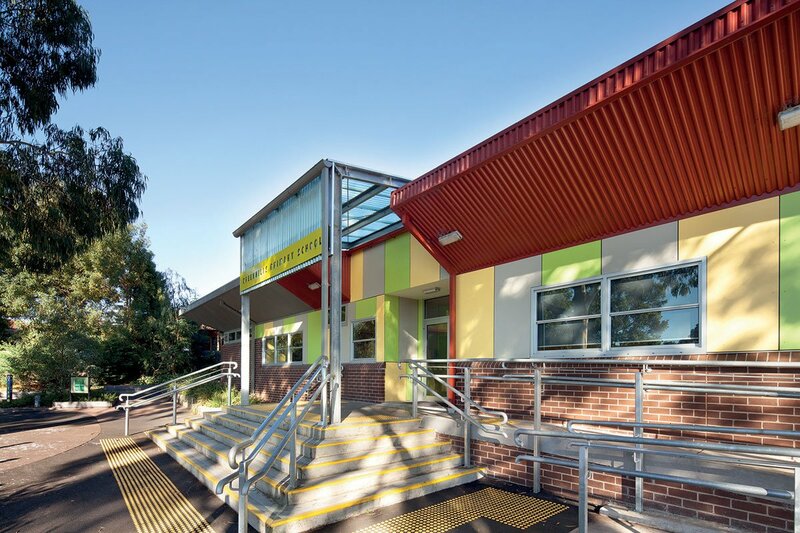 Greenhills Primary School has an enrolment of 440 students and is situated in Greensborough, a green, treed outer suburb of Melbourne. 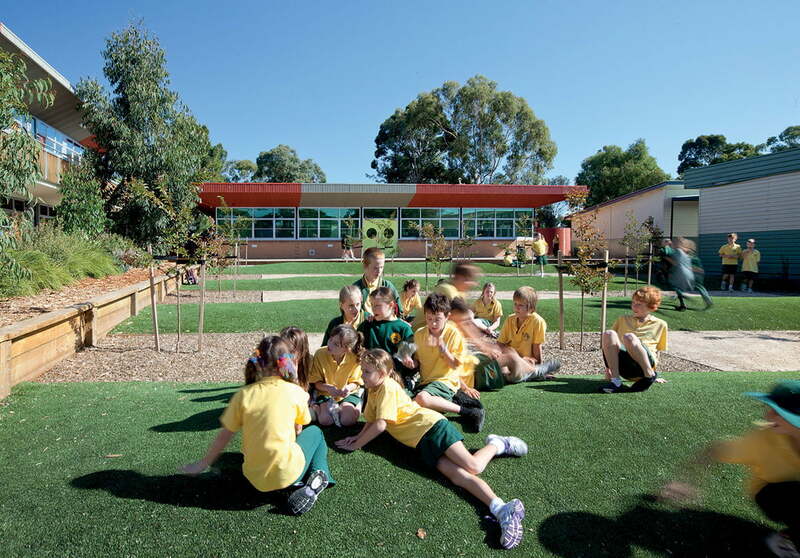 The Stage 2 work is the last of a 2 stage implementation of the School Master Plan carried out by WA in 2005. 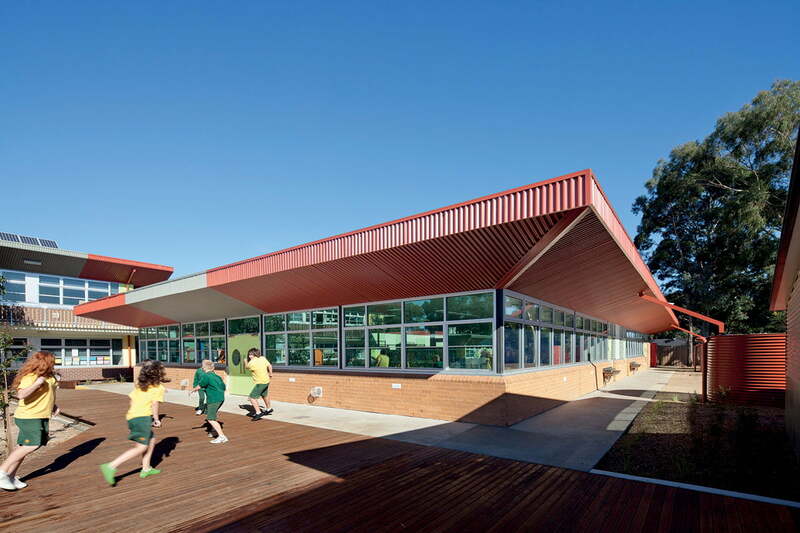 The School opened in 1962 as the area changed from rural to suburban and was housed in a single light timber construction (LTC) block at the centre of the 2.19 hectare site. A second LTC block was added to the south and a cluster of portables added to the north-east as the School population increased. 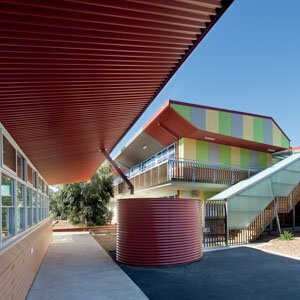 At the Master Plan stage WA compared the cost of redevelopment with the cost of refurbishment and concluded that demolition and rebuilding was the more economical option. DEECD then approved funding of the first stage. 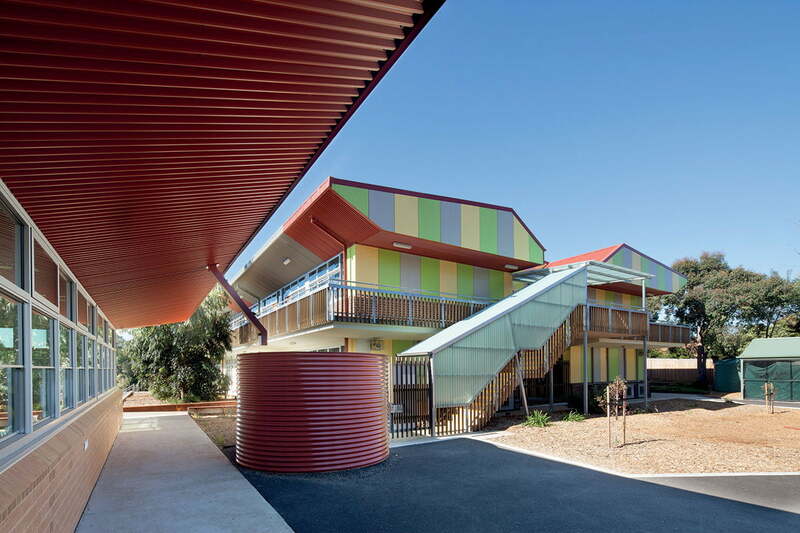 Stage 1 comprised a new single storey Staff/Administration building, a 2 storey 12 General Purpose Classroom building and associated works. This was completed in 2008. 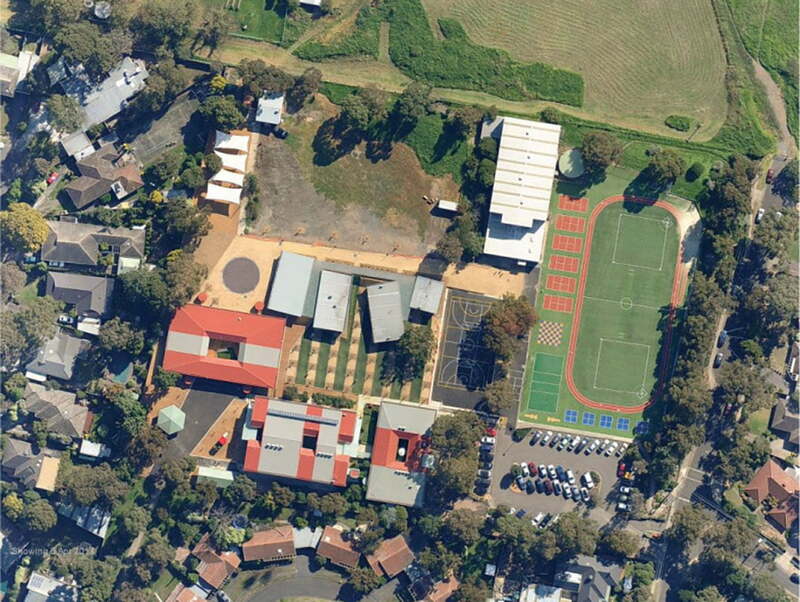 Stage 2 comprises a Specialist Classroom building (dubbed the Cultural Centre by the School) housing Library, Art and Music spaces and a Canteen, Student Toilets and ICT workshop; a flotilla of portables; a landscaped central quadrangle; new hardstand play and sporting areas; new playgrounds; and associated works. Based loosely on Thomas Jefferson’s organization of the University of Virginia, the buildings are arranged around a central open space as the “body” with the “head” being the Cultural Centre at the western end, and outer “limbs” the General Purpose Classroom building on the south and the portable cluster on the north. The Staff/Administration building partially encloses the open east end as does the later McKim, Mead and White addition at the University of Virginia. 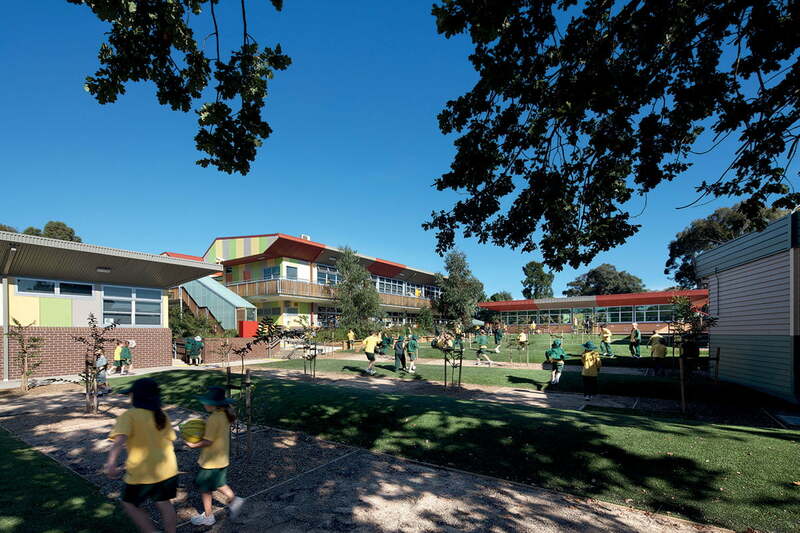 The central quadrangle is intended to be the heart and focus of the School, offering a generous shaded area of quiet, contemplative recreation for the students in contrast with the frenetic physical activity of the playground and hardstand areas. 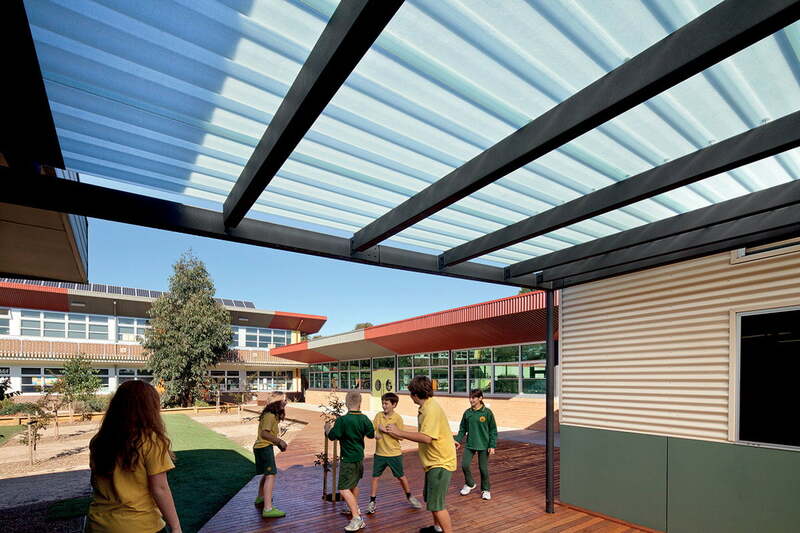 The architecture of the buildings is simple and spare, featuring rectangular floor plans; brick plinths, bands of glazing, and thick, Colorbond sheet steel roofs with wide eaves over peripteral circulation and sloped Colorbond eaves soffits. 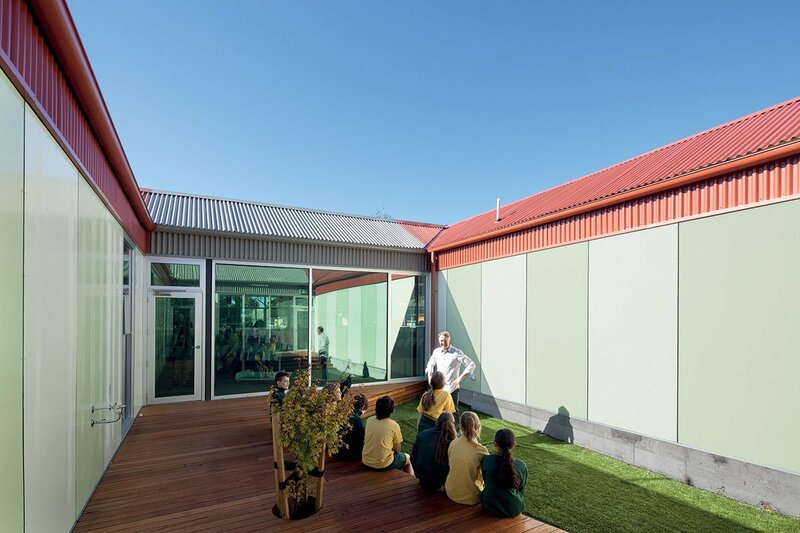 The facades are animated in places with flat polychrome compressed fibre cement sheet panels in greens, greys and yellows emblematic of the School’s treed landscape and its strong environmental ethos.